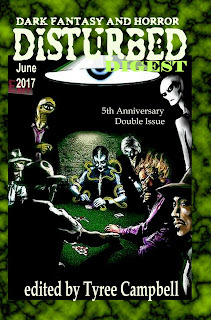 My short story "The Dead Thing" appears in the June 2017 issue of Disturbed Digest. You can pick yourself up a copy here. "The Dead Thing" was originally written for the Hank Davis-edited anthology Things from Outer Space. It started the way perhaps half of my short stories start: with a title. Shortly after coming up with the title, the first few words popped into my head. They are: "We found the dead thing . . ." From there, I just kept writing (with one major interruption, more on that in a second) until the story ended, not really knowing what was going to happen or how things were going to turn out. That's not particularly common for me. Usually, I have an idea of how a story is going to end, and I often outline the whole thing. But not always, and not this time. The danger of flying by the seat of your pants that way is that too often you get lost or paint yourself into a corner and the story never gets finished. For a while, I thought that would be the case with "The Dead Thing." I hit a roadblock about halfway through and put it aside, hoping that I might find my way to the ending, but assuming that I wouldn't, that the story would remain incomplete. Then, I sat down one day, opened up "The Dead Thing" file on the trusty ol' laptop and . . . kept writing. It took a few days, but I made it to the end of the story, and was really quite pleased with how it turned out. I sent it off to Hank, hopeful that he'd accept it. However, Hank wasn't able to use the story. It was a good story, he assured me, and he'd like to put it in the anthology, but the ending was too similar to that of another story that he'd already purchased for the book. The two stories were really quite different, and the endings weren't identical, but they were close enough that they would feel odd sitting next to each other in a table of contents. Such are the breaks! But I really liked "The Dead Thing" and didn't want to relegate it to the trunk. 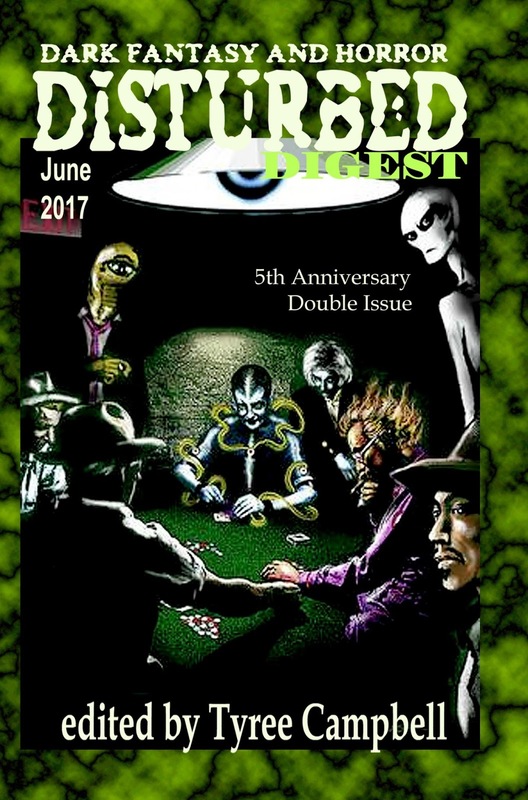 I'm glad to see that it found a home in Disturbed Digest's Fifth Anniversary Double Issue. Incidentally, when Hank said he wasn't able to use "The Dead Thing" for Things from Outer Space, I assumed I'd missed my chance to be included in the anthology. The deadline was looming and I didn't have anything appropriate to send in and no ideas for a new story. Then my story "As It Lays" popped into my head, fully formed, one morning. I sent it off to Hank and he said he'd be glad to use it in Things from Outer Space. [Paul Harvey voice]: And now you know . . . the rest of the story!